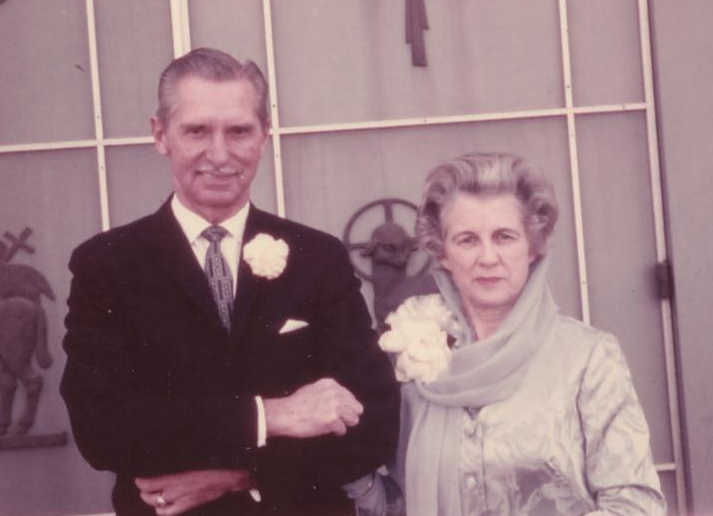 Karyl Ross Harris was born July 31, 1898 in Tulare Co., California. His father was a farmer and mother a homemaker. 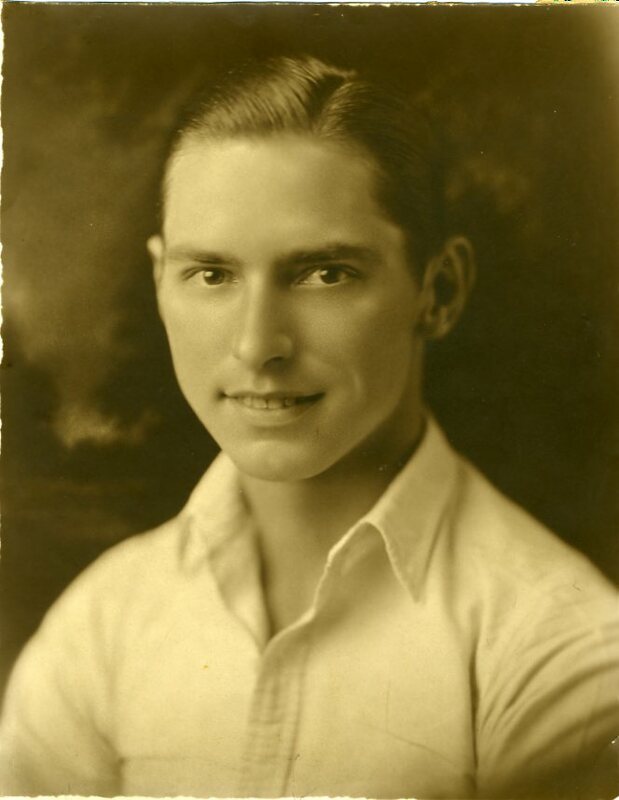 He had a brother, Edwin, born in 1901 who never married. Edwin worked for an oil company in Saudi Arabia and died there under suspecious circumstances. Karyl eventually changed the spelling of his name to Karol, then to Ken (he said people had a hard time with the spelling.) In his early years he worked for Reeve Gartzmann, a car dealership in Los Angeles, as an assistant service manager. He loved cars and loved to race them. He owned a total of 120 cars in his lifetime. 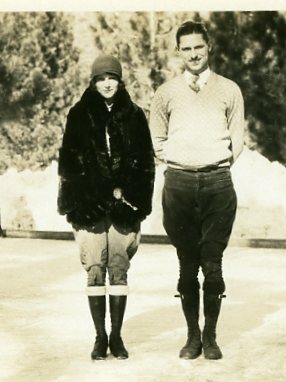 Ken met and married his first wife, Alta, in 1927 (she died in 1963). 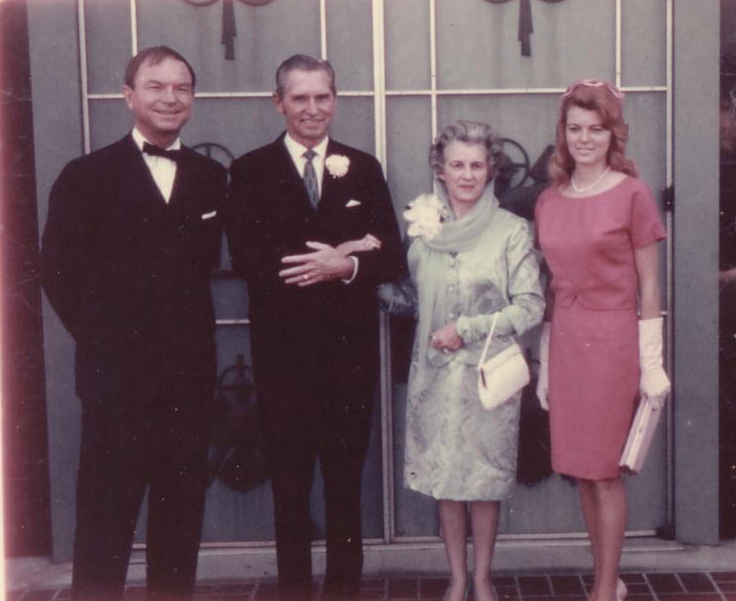 In 1966, Ken married his second wife, Kathryn, at St. Francis de Sales Church in Sherman Oaks, with Chuck Jones as his best man. Ken never attended art school; all of his drawing talent came naturally (at one time he applied to Disney studios for the position of animator, but was turned down for lack of formal art schooling.) . His animation career began with the "Los Angeles Examiner" and the "Evening Express" in 1927, drawing cartoons for the Sports page. From there, he went into animation with Leon Schlesinger, and subsequently Warner Brothers, where he worked on "Bugs Bunny", "Daffy Duck", "Wile E. Coyote",and "The Road Runner" under the direction of Chuck Jones for 28 years. After Warner Brothers closed he drifted to Hanna Barbara to draw "Tom and Jerry" at MGM under his old director Chuck Jones. His last main feature before retirement from MGM was "How The Grinch Stole Christmas" under Chuck's direction. After retirement, he was recruited by Richard Williams to come to his London Studio to help out on a full length feature called "The Thief and the Cobbler", which Richard Williams planned to make. He traveled to London from 4 to 6 months each year for the next twelve years. 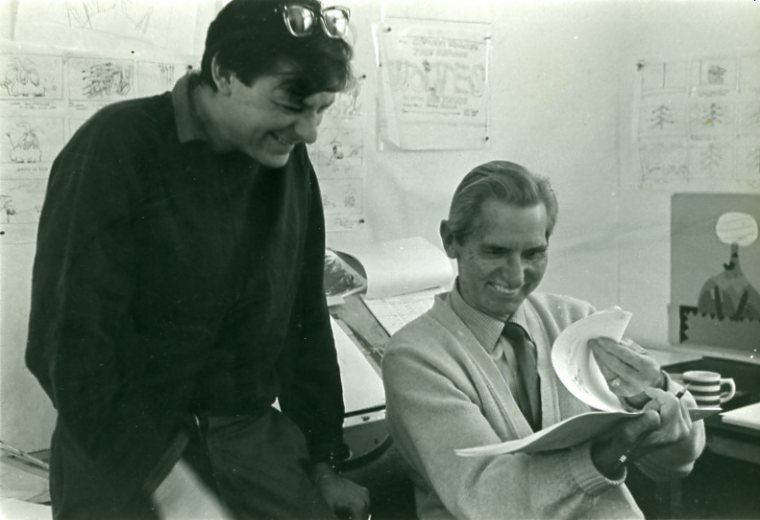 Ken trained several, young animators in the studio in preparation for the feature. Meanwhile, the studio produced "A Christmas Carol" which won an Academy award in 1973, Ken worked on "Scrooge" throughout. Later, when Blake Edwards asked Richard Williams to do the titles for "The Return of the Pink Panther", Ken was there to work on it since Ken had worked on the original "Pink Panther" by De Patie-Freleng. In between these successes for Richard Williams, Ken continued to work on "The Thief and The Cobbler" under production at 13 Soho Square, London. 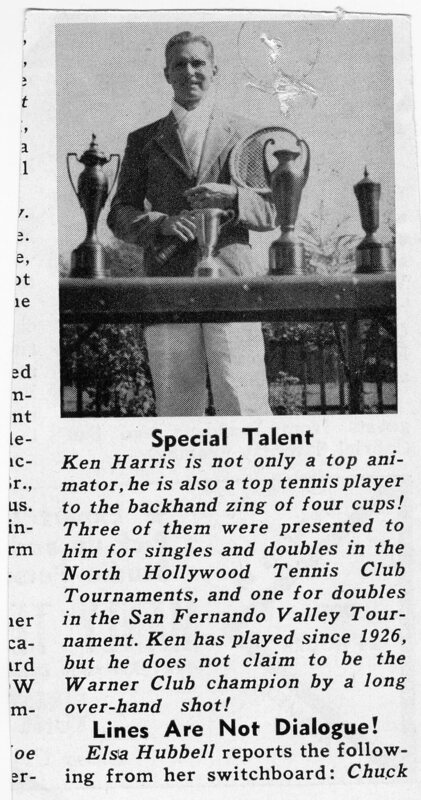 Ken was an avid tennis player, and, when his animation footage was completed for the week, he would go over to the tennis courts in North Hollywood and play a set or two. 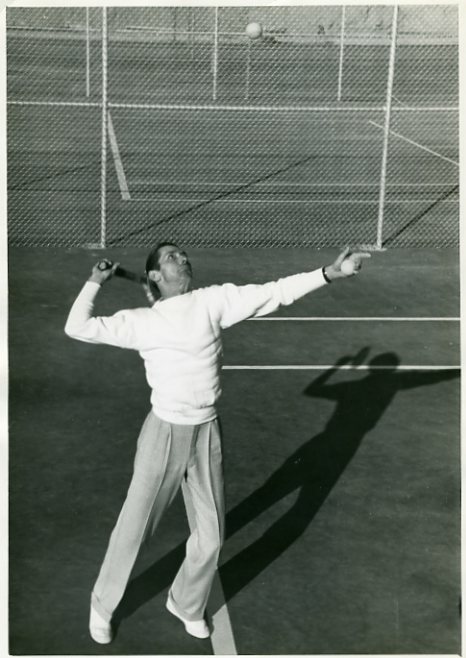 He refereed matches in Los Angeles and was asked to do the same at Wimbelton, but he declined the invitation. He loved to dance, and he played the recorder. 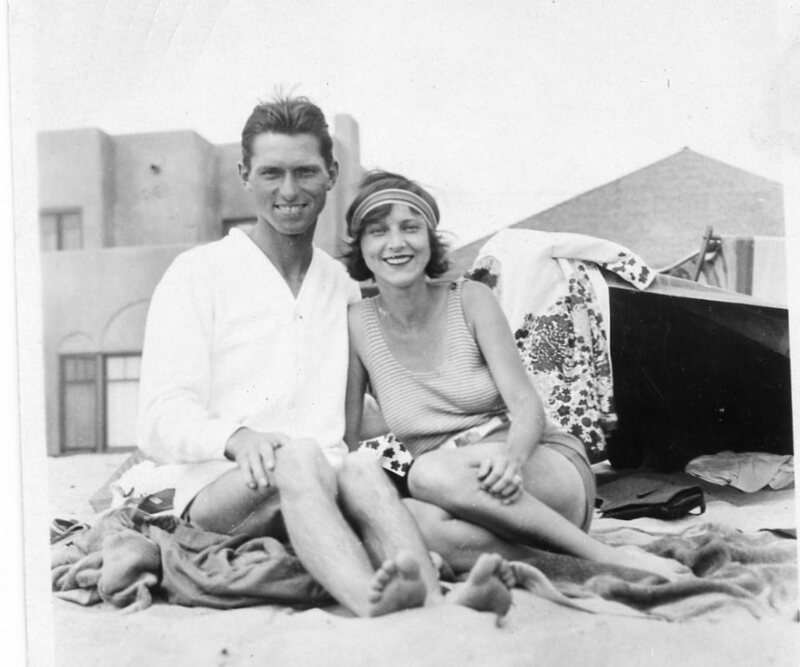 Ken lived with his second wife Kathryn, in Agoura, Ca. In his last years Ken developed Parkinson's disease and died at the Motion Picture Hospital in Woodland Hills on March 24, 1982 at the age of 83.